Size: 3 ft X 1ft/ Year: 2003. It was the work created in the academic session. In our childhood we hold their finger of our elderly who show us the life in different vision. To make us understand and know the things better. 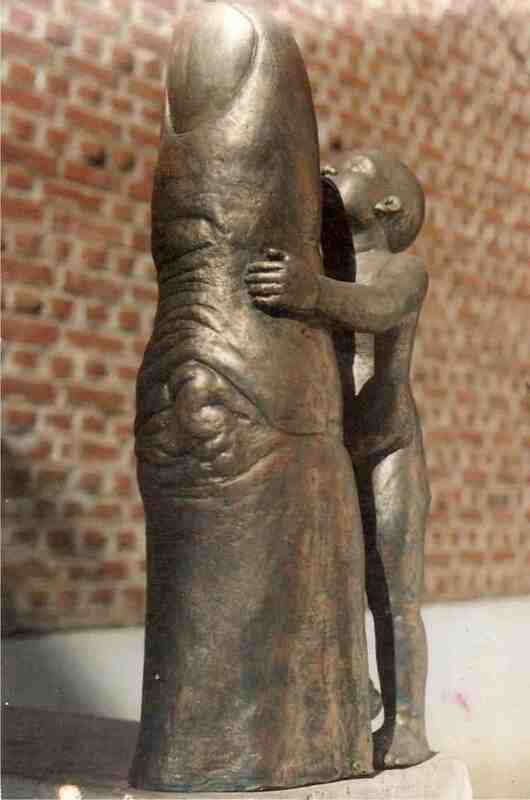 Posted in SculpturesTagged Alak Pathak, Assam, sculptureBookmark the permalink.